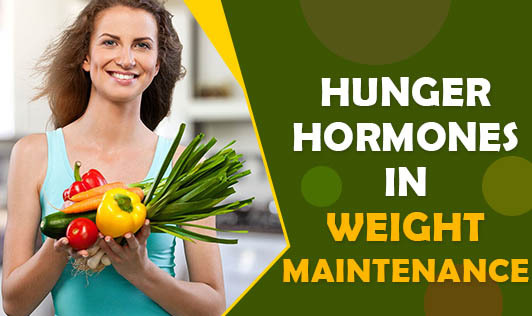 Ghrelin and Leptin are 2 hormones that can help in keeping your body weight in the right place. Ghrelin is produced mainly in the stomach and stimulates hunger. It's level rises before a meal and drops after a meal. A study found that high levels of ghrelin makes high-calorie foods more appealing. Perhaps, this is one of the reasons why some people end up eating all the wrong foods and their weight shoots up. Scientists are trying to find ways to curb over-activity of ghrelin. Leptin, on the other hand brings in satiety and makes a person stop eating. It is made mostly in the adipose tissue. In a few people where leptin doesn't function well, large amounts of weight can increase leading to severe obesity. Leptin levels are known to decrease when there is sleep deprivation. This is one of the reasons, why people who are wakeful for longer periods of time, eat more & often. Of course, there's more to hunger hormones than what I've said here. But, following a balanced lifestyle can keep the hunger hormones balanced too! So, let's not blame these hormones for our weight gain.